I’ve just received the following notification and am passing it on as received for what it may be worth to those involved in this particular development. 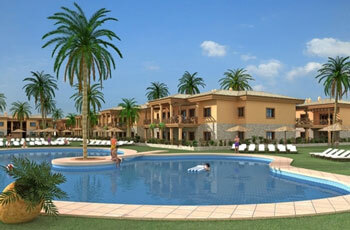 The message involves the Cabonuba development in Santa Maria, on Sal island in Cape Verde. This development was sold by MRI Overseas Property, owned and run by Dubliner, Darragh MacAnthony. MacAnthony, who appeared in the Sunday Times Rich List in 2007 with an estimated worth of around €150m, ran MRI Overseas Property from Marbella offices in the early to mid-noughties. He now lives in Florida and is best known as the owner of Peterborough United Football Club. Cape Verde has been a particularly popular topic in Ireland and the UK over the past number of years with a variety of articles circulating in the media relating to the Ciaran Maguire Group, Paradise Beach, Murdeira Beach, the Monte Gordo Resort and Fortim Mindelho. There have also been a number of high profile court cases involving individuals such as Ciaran Maguire, Tom Sheehy, Niall Fleming, Ted Whittaker, Brian Murphy O’Connor and an upcoming case in the High Court in Dublin between Tom Sheehy and the Cotter Brothers. If you search for Cape Verde on this site you’ll find reference to some of them. I don’t know the plaintiff nor the ins and outs of the case in question, so please make your own enquiries before getting involved if you have an interest in the Cabonuba Development in Cape Verde. “I have a case lodged in Spain against MRI Overseas Property for the return of my Cabonuba deposit. My lawyer now wishes to expand the case and bring a class action. I am seeking Cabonuba investors to join the case. So far i have only located 22 other investors, and need more to come forward as this is a genuine opportunity to try and recover some of our monies. THERE WILL BE NO FEES INVOLVED AS I AM FUNDING THIS ACTION. You can also post on the following Cape Verde Forum if you wish – http://bit.ly/XIDMmv.